Case studies are a good part of the backbone of policy analysis and research. This chapter illustrates case study methodology with a specific example drawn from the author’s current research on Internet governance. Real-world problems are embedded in complex systems, in specific institutions, and are viewed differently by different policy actors. 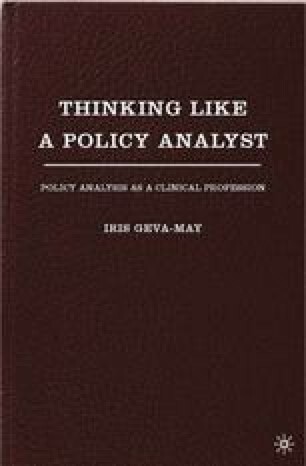 The case study method contributes to policy analysis in two ways. First, it provides a vehicle for fully contextualized problem definition. For example, in dealing with rising crime rates in a given city, the case approach allows the analyst to develop a portrait of crime in that city, for that city, and for that city’s decision makers. Second, case studies can illuminate policy-relevant questions (more as research than analysis) and can eventually inform more practical advice down the road. The chapter reviews the relationship between case study research and the aspirations of more nomothetic (law-like generalizations) social science. To study a case is not to study a unique phenomenon, but one that provides insight into a broader range of phenomena. The author’s example of ICANN illustrates issues pertaining to globalization, global governance, and the internationalization of policy processes.